The news is not good: We have an obesity epidemic out of control and more Americans than ever are experiencing serious illnesses such as heart disease and diabetes. To make matters worse, the doctor-patient relationship can be a tenuous one, with patients sometimes going years without seeing their primary physicians. What is the cure for this unhealthy situation? At least in part, it lies in mobile health (mHealth) technology and biometric data and analysis, innovative methods of obtaining valuable healthcare information from patients, with the goal of providing better, specialized medical treatment. For healthcare payers and providers, better care means reduced medical treatment costs over a patient's lifetime. 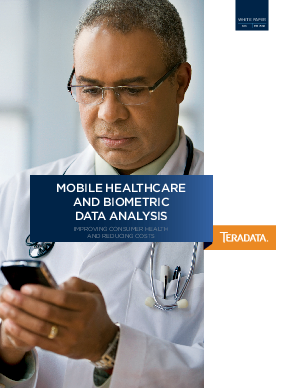 This paper examines how advances in mHealth technology and the use of biometric data analytics are important to improving the overall healthcare system.